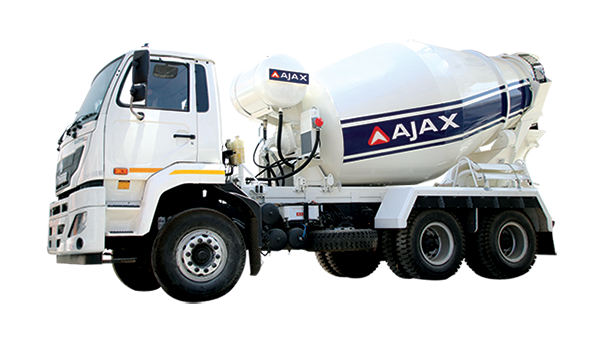 AJAX planetary mixers are designed to perform high mixing performance even for all challenging applications and mostly preferred for producing precast concrete products such as low or zero slump precast concrete, fiber reinforced concrete, self-compacting concrete, etc. 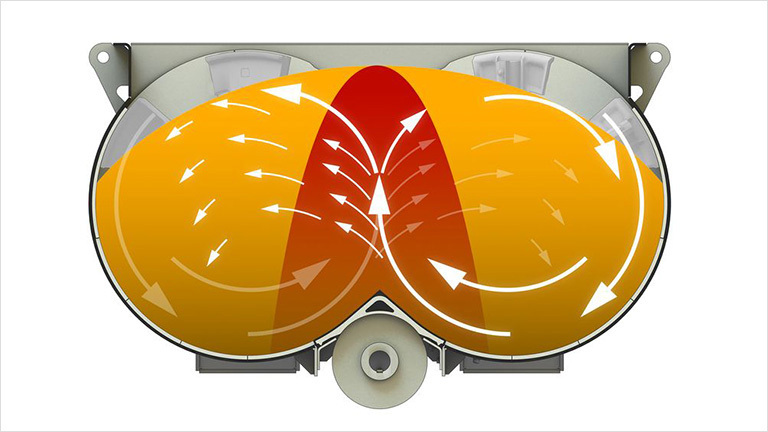 They provide the highest homogeneous mixture even in shorter mixing time as the mixer turret is rotating around the mixer center point and in the meantime mixing stars connected to this turret are circumvolving. Round Mixing arms in NiCr Special Steel. High wear-resistant mixer wearing parts. Pan Floors & wall are lined with easily replaced hard-wearing liner segments. 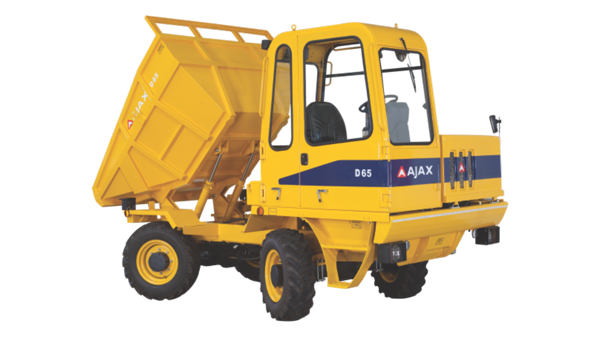 High mixing performance even for challenging concrete applications. High mixture homogeneity in shorter mixing time. Easy maintenance due to wide maintenance gates and bolted type replaceable linings. 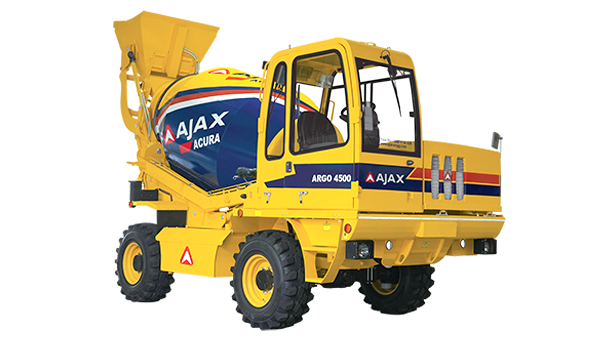 AJAX Twin-shaft Mixer mixing concept rapidly produces mixtures with consistently high levels of homogeneity. 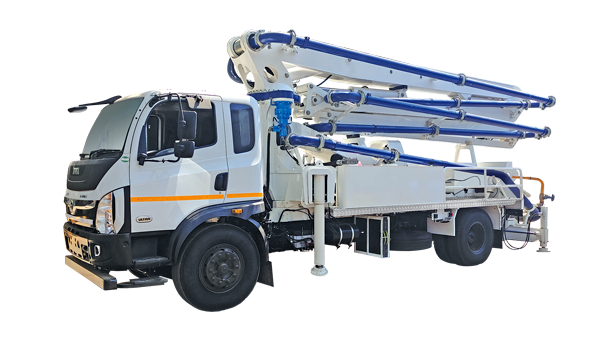 It is a well-proven, highly reliable solution for industrial mixing processes with medium to high output requirements. The machine is a classic compulsory mixer. 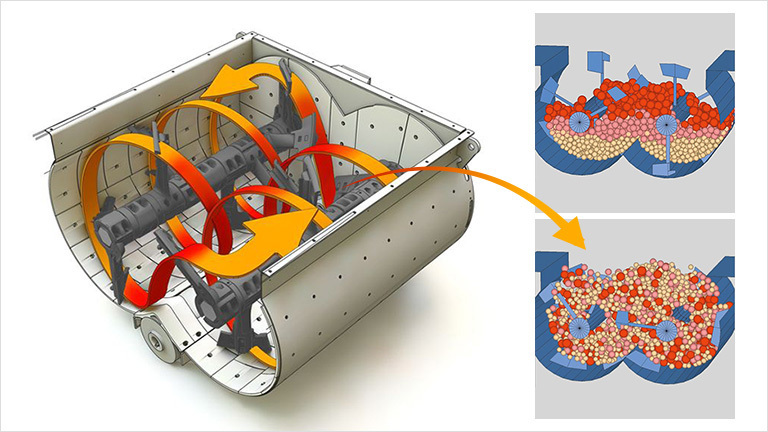 The Twin-shaft mixer moves the entire mixture in a three-dimensional spiral motion. There is also an intense exchange of materials in the turbulent zone where the two mixing cycles overlap. The energy applied is optimally converted into intense relative movements of the entire mixture. Thanks to the optimized design and arrangement of the mixing tools, you will achieve consistently outstanding mixture homogeneity batch by batch, with very short mixing cycles. Compact Design & Planetary gears for High Efficiency. 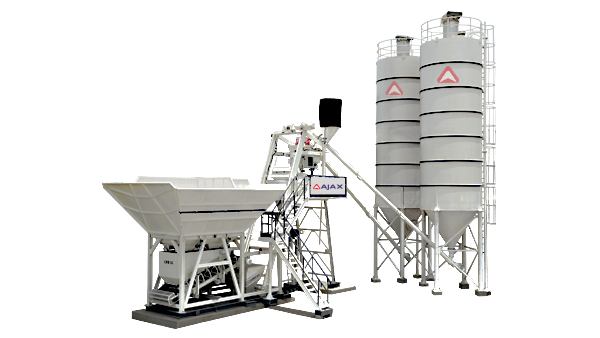 AJAX's Innovative Drum Mixer concept produces mixtures with consistently high levels of homogeneity. 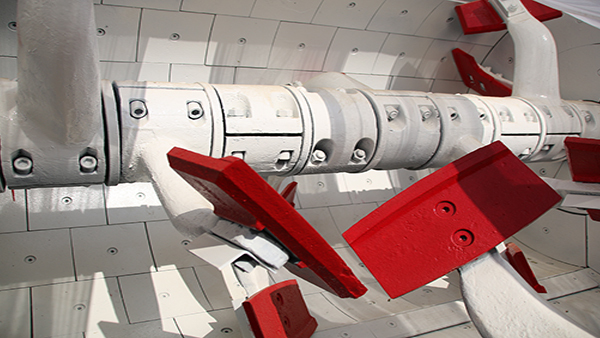 It is a well-proven, highly reliable solution for industrial mixing processes with medium to high output requirements. The machine is a classic compulsory	mixer. 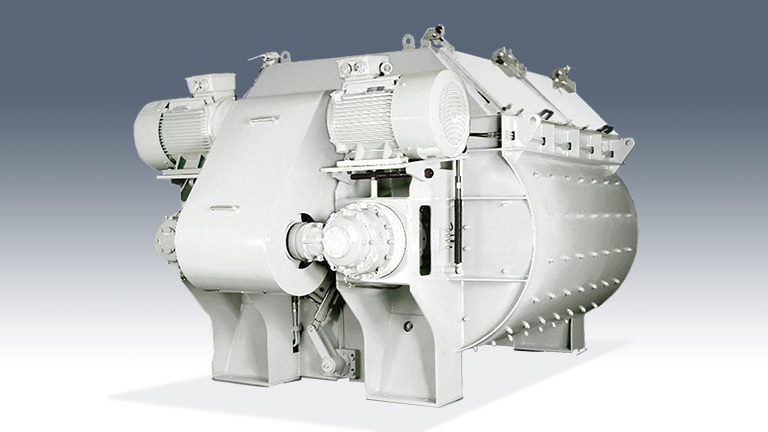 The Twin-shaft mixer moves the entire mixture in a three-dimensional spiral motion. There is also an intense exchange of materials in the turbulent zone where the two mixing cycles overlap. The energy applied is optimally converted into intense relative movements of the entire mixture. Thanks to the optimized design and arrangement of the mixing tools, you will achieve consistently outstanding mixture homogeneity batch by batch, with very short mixing cycles.